Sell wholesale on your Shopify store. Then we got tired of waiting and built our own! We're proud and excited to share with you the wholesale app you always wanted. We're Shopify merchants and we get it - We've created a straight forward and powerful app packed with everything you need to sell wholesale on your store. You're super busy, our job is to make selling wholesale on your existing store as easy as possible. Great user interface, no tiered pricing of hidden fees, and no coding. Period. We were disappointed with the other apps out there so we created an app full of features only a merchant would think of. It's the wholesale app we always wanted. Wholesale Gorilla is an app that securely installs to your shop from the Shopify app store. A customer signs up to buy wholesale on your store, and when they are logged into your shop they see whatever prices you set for them. You can set different prices for your entire store, specific collections, products, or variants. They then checkout using the normal Shopify process, and you have the option of giving them terms. Easy to use interface - no coding. period. Create prices as a percent off the original amount, or set a new fixed price. Set a minimum order value for wholesale orders. Net Checkout - customers can checkout without paying. Create custom wholesale shipping rules. Single Page Order Form - Beautifully designed. Ability to exclude certain products or collections. 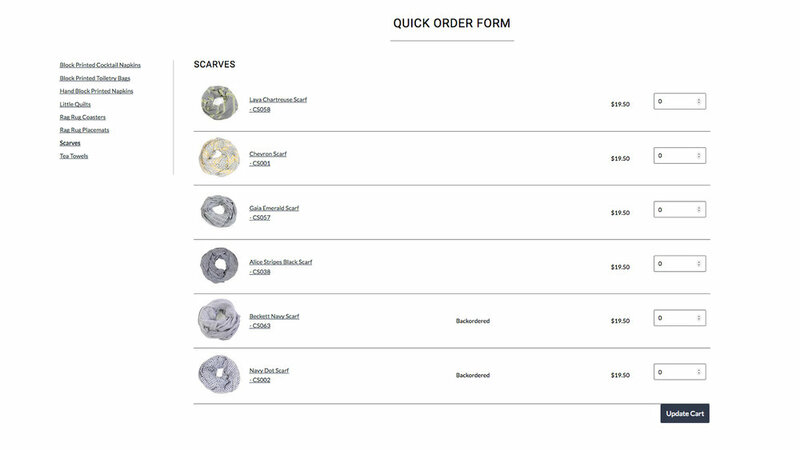 Ship partial/complete option during checkout for out-of-stock inventory. Display backorderd messages with approximate ship dates throughout your site. Customer signup form that automatically tags, activates, and creates wholesale customers in Shopify. Exclude and hide specific products from either wholesale or retail customers. Using customer tags you can offer different terms and prices for different wholesale customer groups. Automatically tags wholesale orders for easy identification and advanced analytics. Customizable messages throughout your site that our only visible to wholesale customers. Wholesale customers can easily view past orders. Everything is professionally designed and beautifully fits into the style of your site. Simple user interface looks like the Shopify backend you are used to. 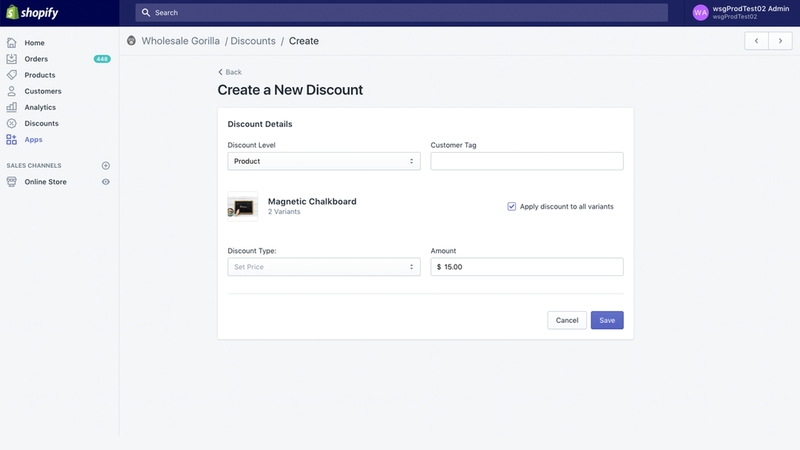 Create discounts for your entire store, certain collections, products, or even specific variants. Set discounts to be a set price or percent off the original price. Say hello to custom shipping rules! Don't let the easy interface fool you, our app is packed with more features than any wholesale app on Shopify. With features such as ship partial/complete you can cut down on confusion and long email chains with stockists. Plus everything fits in seamlessly with the style of your shop. Other apps charge you extra for single-page order forms, plus you need HTML and CSS knowledge to make them look pretty (unless you want to hire a Shopify developer of course). Wholesale Gorilla comes with a beautifully designed Quick Order form to make online wholesale easy.